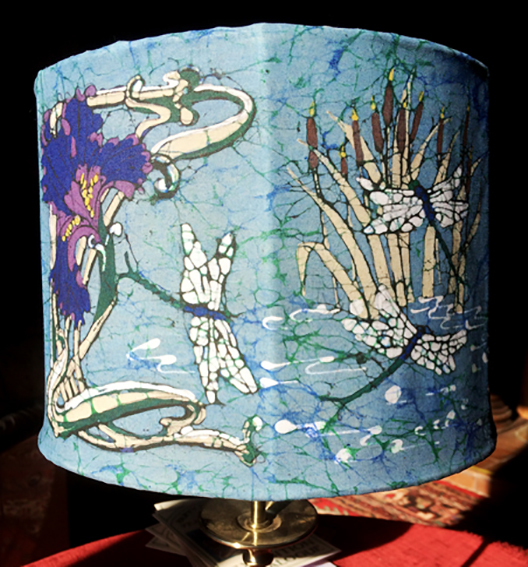 My love of irises, dragonflies and art nouveau can be seen in many pieces of my work, going right back to my teenage years. This lampshade celebrates them all. The irises and foliage in the 'whiplash' Art Nouveau style, create natural borders each side of the 'dragonflies' centrepiece. The lampshade design covers the three panels at the front of the shade. 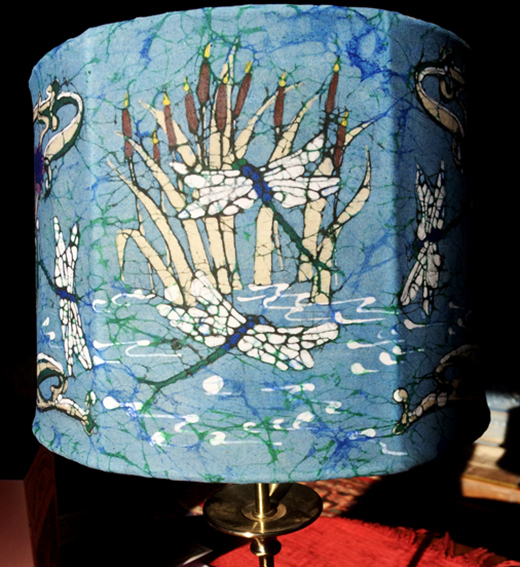 The other three at the back are marbled with the distinctive 'Batik' crackle in blues and greens. The crackle effect gives the feeling of movement in the water and is used to give detail to the dragonflies' wings. When I'm asked why I work in Batik rather than simpler forms of painting, I answer that the Batik technique really does the work for me. Cracking the wax to portray the lacy wings of the dragonflies gives a lively and delicate result that I would never be able to achieve in paint. 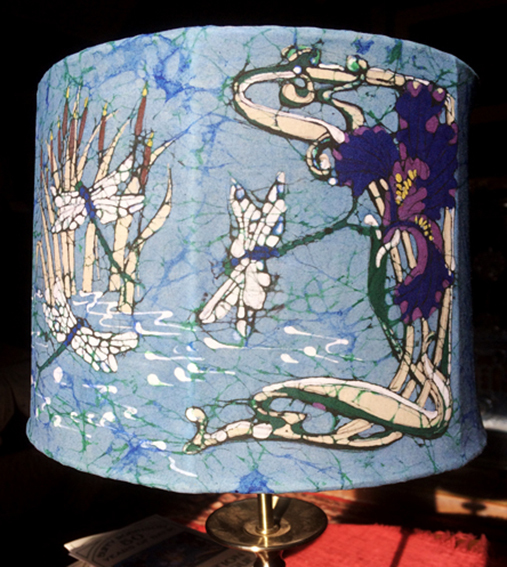 This lampshade was made to be displayed alongside and to complement the Iris & Dragonflies framed picture.